I went today for lunch since the SushiBurri Food Truck was right outside my office at Roy Thompson Hall, and I was in the mood for sushi burrito. At 12:05PM, there was not much line up – I was 4th in line. 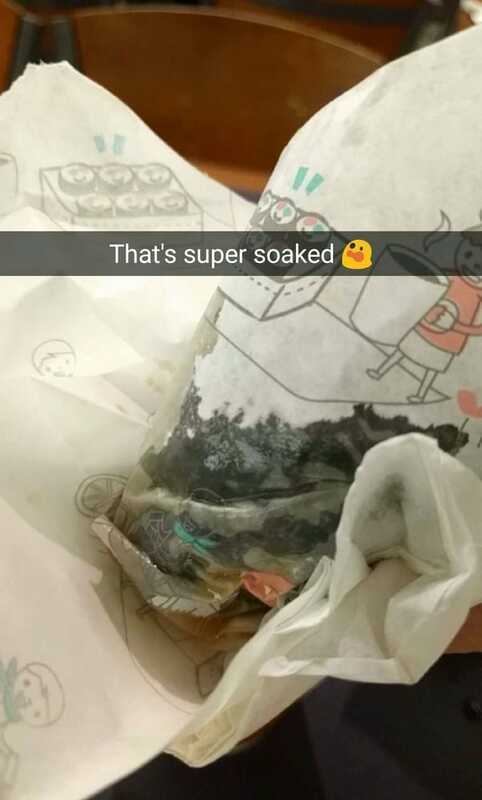 It’s either the sushi burrito hype is dying down, or people have tried it and have the same experience as me. I got the Full Size Sushi Special (Tuna, White Tuna, Salmon) for $16 which is essentially 2x of their $10 half portion. This is very pricey considering other popular places charge $13. First thing to notice is the size is not consistent. One of my half is bigger than the other. The burrito looks like it has a good share of fish, and it also looks pretty so I was very excited. 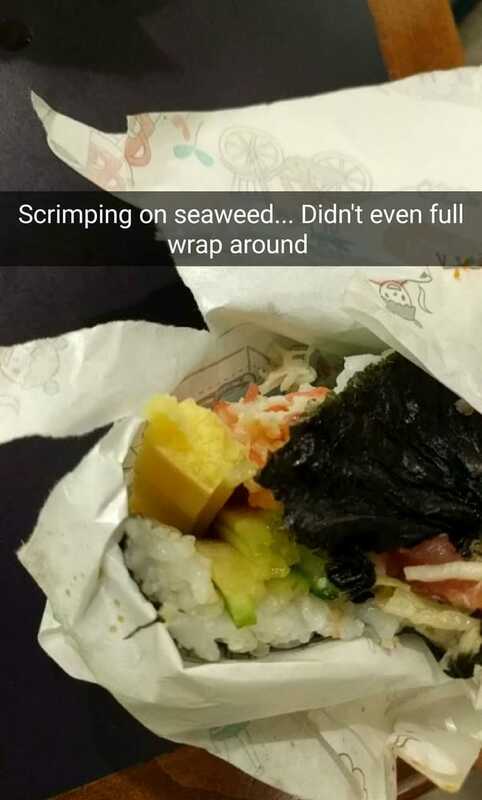 I have yet to understand what’s good about this sushi burrito fad. Why can’t a sushi maki roll be enough? 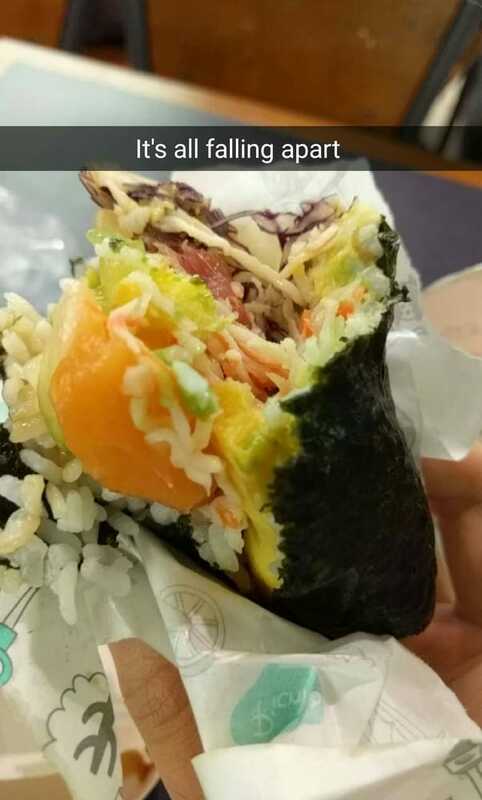 Have you had sushi burrito from SushiBurri Food Truck? What did you think of it? Posted on August 12, 2016 by Travelling FoodiePosted in Canada, Food, Ontario, TorontoTagged products.